DENVER, Sept. 26, 2016 /PRNewswire/ -- TeleTech Holdings, Inc. (NASDAQ: TeleTech), a leading global provider of customer experience, engagement and growth solutions, announced today that on September 22, 2016 its Board of Directors declared a dividend of $0.20 per common share. All shareholders of record as of October 3, 2016 will be paid the semi-annual dividend on October 14, 2016. "We are pleased with the Board's decision to declare an increase in the semi-annual dividend for the second time this year," said Ken Tuchman, chairman and chief executive officer of TeleTech. "This decision reflects confidence in our business outlook and cash flow generation as we increase our focus on profitability. We also remain committed to maximizing shareholder value by utilizing our cash flow and balance sheet strength to execute acquisitions and dividends in concert with share repurchases." TeleTech (NASDAQ: TeleTech) is a leading global provider of customer experience, engagement and growth solutions. Founded in 1982, the Company helps its clients acquire, retain and grow profitable customer relationships. 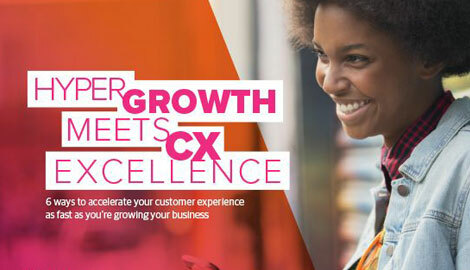 Using customer-centric strategy, technology, processes and operations, TeleTech partners with business leadership across marketing, sales and customer care to design and deliver a simple, more human customer experience across every interaction channel. Servicing over 80 countries, TeleTech's 41,500 employees live by a set of customer-focused values that guide relationships with clients, their customers, and each other. To learn more about how TeleTech is bringing humanity to the customer experience, visit teletech.com.